Offering an unparalleled menu of services and expertise, The Vanderblue Team gives its clientele everything they need to make an informed decision about luxury real estate. 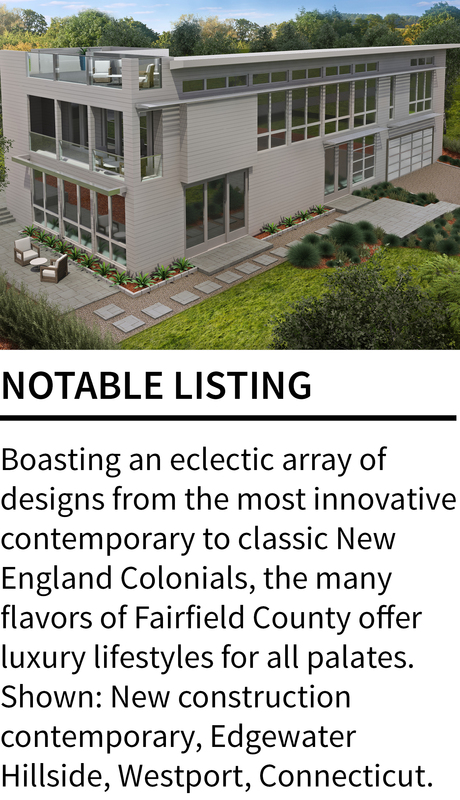 The ongoing residential allure of Fairfield County, Connecticut, one of the country's most desirable places to call home, extends well beyond its proximity to the Big Apple. The most populated of the Constitution State's eight counties offers an endless array of cultural, business, recreation, fine dining and retail opportunities- rich diversity that also applies to its residents. "With a vast variety of luxury lifestyles, there truly is a perfect place for everyone," says Julie Vanderblue, President of the Higgins Group, a Christie's International Real Estate affiliate. The top producing collection of real estate talent in the entire region, The Vanderblue Team represents a consumer-centric approach to real estate like no other. It starts with listening and creating a deeper understanding about the needs of each individual buyer. Educating buyers is what sets Vanderblue apart. With the transparency of real estate online searches it can get confusing for buyers looking to relocate or buy a second home in Connecticut. The key is finding a synergistic team that understands the nuances of a market as widespread and complex and Fairfield County. With The Vanderblue Team, clients tap into the best of all worlds- a combination of experience, savvy, detailed market and industry knowledge and peerless negotiating skills. "Our approach is often likened with an attorney's office," says Vanderblue, a 20-year real estate veteran. "Each member of the team has a specialty upon which we call when needed. In our case, each agent has geographic expertise as well as industry specialty that they have researched and developed extensively. We then share and combine that wisdom so that both buyers and sellers benefit from our collective knowledge." Currently waterfront, downtown living and new construction are all in high demand. Flawless homes staged to perfection are appealing to buyers as sweat equity is too expensive and many prefer to move in and unpack. As trends change quickly, Vanderblue sees tremendous opportunity for buyers looking for properties with more land a bit further from town. As demand for luxurious lifestyles offering more property escalates, values will increase, especially in towns convenient for commuters. Taking it to another level. Vanderblue's strong relationships with builders allow for a large inventory of new construction for those looking for the "right out of the catalogue" home. However, opportunities unrecognized by many exist at a more affordable cost. Uncovering diamonds in the rough is one of Vanderblue's specialties. "By negotiating strongly for imperfect homes and working within our network of builders, we are able to create dream homes at a fraction of the cost." The potential and upside for clients is such that Vanderblue has created an entire division around this concept. 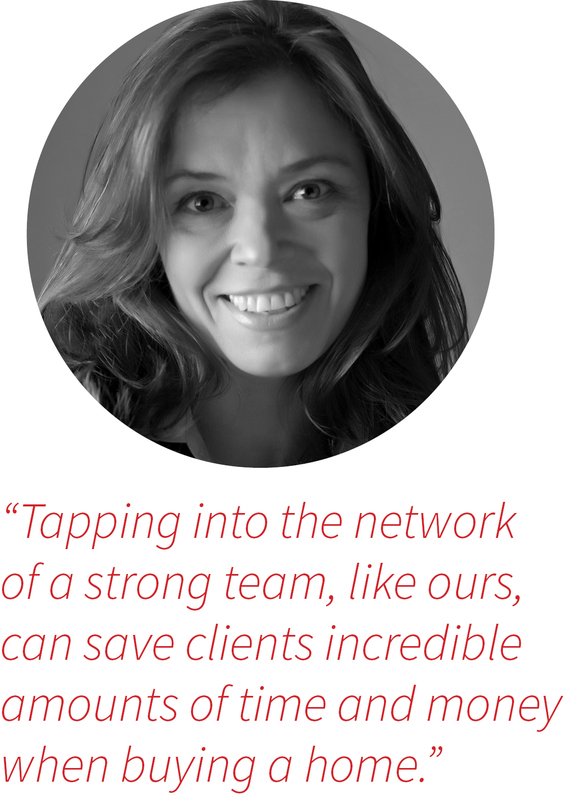 Vanderblue is committed to creating powerful relationships based on quality, merit and trust. To that end, AIRE: All Inclusive Real Estate, was developed to provide a higher level of skill, service and financial reward to buyers, sellers and investors. "By combining the efforts of like-minded leaders dedicated to excellence, AIRE will offer value beyond compare," Vanderblue states. What's the number-one concern among buyers? Resale value. I work closely with clients and do a full analysis of the property, the area, trends and best-and worst-case scenarios. Then we review all the options. They can make their final decision with confidence because they're informed. The fear is gone. What does it take to be successful in real estate? It takes equal amounts of hard work, passion, creativity, communication and listening skills, patients, research and education, kindness and strategic thinking. And then you leave your ego at the door.